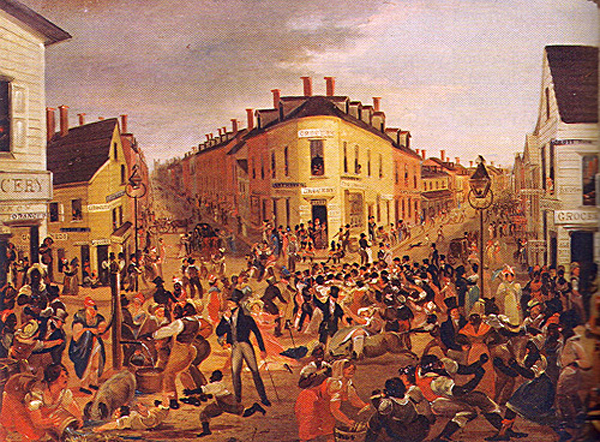 The Five Points district of lower Manhattan, painted by George Catlin in 1827. New York’s first free Black settlement, Five Points was also a destination for Irish immigrants and a focal point for the stormy collective life of the new working class. Cops were invented to gain control over neighborhoods and populations like this. In England and the United States, the police were invented within the space of just a few decades—roughly from 1825 to 1855. The new institution was not a response to an increase in crime, and it really didn’t lead to new methods for dealing with crime. The most common way for authorities to solve a crime, before and since the invention of police, has been for someone to tell them who did it. Decades of walking the path of the warrior in service to noble ideals leaves one, well...jaded.